The Detail is off the case. According to star Shenae Beech, CTV has cancelled the TV show after only one season. 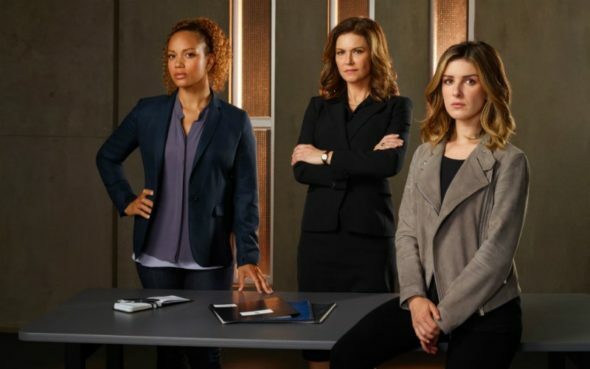 The police procedural stars Beech, Angela Griffin, and Wendy Crewson as a group of female homicide detectives working in Canada. The cast also includes David Cubitt, Ben Bass, and Matt Gordon. On Twitter, Beech revealed The Detail will not be returning for a second season. The U.S. network ION picked up season one last year but has yet to air the series. What do you think? Have you seen The Detail? Are you sad it’s been cancelled? More about: CTV TV Shows: canceled or renewed?, The Detail, The Detail: canceled or renewed? I’m very very disappointed. I really enjoyed this show. I love anything written by sally Wainwright! She is absolutely brilliant. We need another women cop duo, there’s been zip since Cagney and Lacey. Come on CTV! Get a mitt and get in the game! What a shame, The Detail has been cancelled, I was thoroughly enjoying the storylines, a missed opportunity here me thinks!! Why cancel it? For once there was a cop show with no bad language or full frontal nudes. Boy I really enjoyed the Detail. So many of my fav shows are being cancelled while total crap is being renewed. I just don’t get it. To bad it was a good show. I Loved this beautifully acted detective series. Shame it’s cancelled when other not such good stuff goes on!!!! Really enjoyed the Detail, great female detective series. Also can’t believe there will be no 2nd series, missing the show already!